So, this past weekend my mom asked me bout the “big news”. I was confused about what she meant - So Farmery Estate Brewery announced that they purchased an old Farm Implements dealership in Neepawa to turn into their Estate Brewery in 2016. I’m the very last person in Manitoba to be told when there’s a new brewery opening up or expanding.. I don’t know why, but I’m more likely to hear about brewery news in North Dakota than I am here in Manitoba. So, I’m excited that Western Manitoba will be getting their very first brewery in 80+ years, but when it comes to an “Estate Brewery”, the meaning is to be brewed on the same plot of land where the barley, wheat and hops are grown, not in a town a half hour away. So that’s not exactly an “estate brewery”, but they’ve shown more interest in marketing in beer vendors, bars and restaurants throughout South Western Manitoba than Fort Garry and Half Pints combined, it’s no wonder that they’re the de-facto local beer now. Serious props goes to the Warwaruk brothers - thanks to them I’ve tried beers from Yukon, Ontario and New Brunswick that were previously never available in Manitoba, and now with their Farmery Brewery hopefully opening up in Neepawa, it will employ local people who want to brew the best beer in Manitoba! 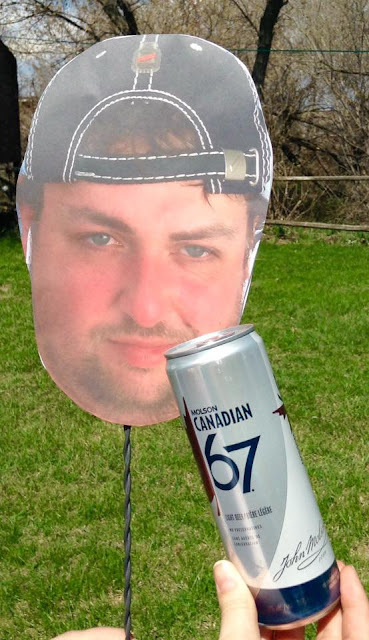 Next time, I just wish breweries would let me know they were opening up a brewery instead of finding out through my mom, who prefers Molson 67 - Hi Loree! This week we’re tasting Hennepin Farmhouse Saison by Brewery Ommegang out of Cooperstown, New York. I’ve raved and reviewed about Ommegang’s beer back in April when I reviewed their Game of Thrones’ Valar Morghulis Dubbel Ale. Since then, Ommegang’s beers have disappeared and slowly re-appeared from Liquor Marts’ shelves, but now their Hennepin Farmhouse Saison is back and as good as ever! I’ve enjoyed the Hennepin Saison for the past year or so, it’s a great summer time treat worth savouring after a long day of harvesting. 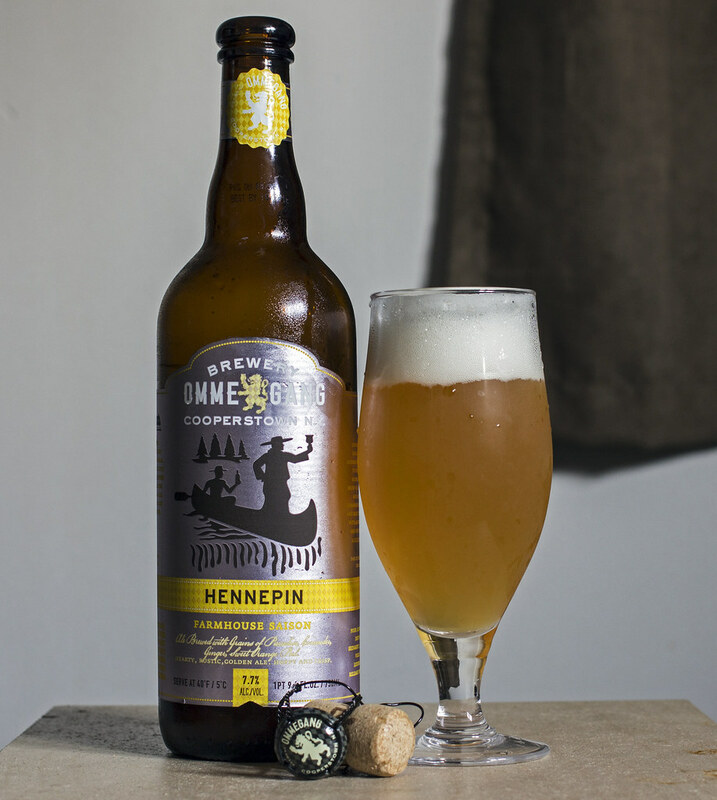 Hennepin pours a hazy yet bright golden straw, hint of orange hue, cloudy and unfiltered. The head is very thick and a frothy snow white, almost two fingers thick! The aroma has notes reminiscent of shovelling wheat in a grain bin, so it’s fairly grainy and musky. 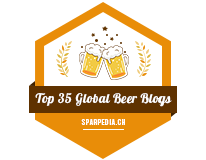 There’s notes of lemon, pizza dough, a light amount of sourness and a spiciness coming from coriander, so for the most part, this is your typical Belgian-style saison. The taste has a strong boozey burning sensation as soon as I took my first sip, a bit of lemon peel, Belgian yeasts which gives it a just a hint of bubble gum. There’s also notes of black pepper, light leafy hop bitterness that leaves a hint of a metallic aftertaste. I’m also finding that there’s a good amount of fruity notes popping up, such as apple, pear and lemon.. again. For a saison, Hennepin is a bit sweeter and sugary than most saisons I’ve tried as I find they tend to be mostly earthy, yeasty and lemon zesty while this one has flavours all over the place popping up. Hennepin is a saison that’s best recommended to share with friends and family as it’s 7.7% ABV, stronger than your typical saison which usually tops out at 5.5% and with the warm booze notes I’m getting, this is a beer best shared and savoured for its complexity rather than gulped down. Another thing about this saison is that it has the possibility for aging as the live yeast is still fermenting in the bottle as it’s sitting at the Liquor Mart shelves or as it is in your fridge or beer cellar. I recommend trying to age it for a year and see how it has changed in flavour and aroma compared to a fresh bottle. The only downside I have about Hennepin is the price, it’s $9.77/750mL bottle, so it’s more expensive than Unibroue’s Blonde de Chambly or Boulevard’s Tank 7 Farmhouse Ale, but sometimes you just have to splurge, am I right?! Since saisons/farmhouse ales were created as a beverage for farmers during harvesting season, if you’re still harvesting right now - this is the perfect saison to savour after a long day in the field!